(Newser) – A Pennsylvania mother's 11-week-old son died in April, and she has now been charged in his death. 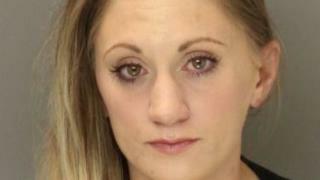 The Morning Call reports Samantha Jones, 30, is in Bucks County Jail after failing to make her $3 million bail in connection with the homicide charge. A probable cause affidavit reveals the baby, identified as RJ, died from ingesting methadone, amphetamine, and meth, which were allegedly transferred when Jones breastfed the child. Another casualty of the criminal empire that is the pharmaceutical industry.